Delivering a decor which perfectly portrays the vibe of the bar, they have shed blood, sweat and tears gutting and refitting the site which was previously The New Internationalist Free Trade Shop. Upon entering Austin & Austin, one of the first things to catch your eye is the wood paneling along the side of the bar, which in a past life was the floor of the basketball court at Prince Alfred College. 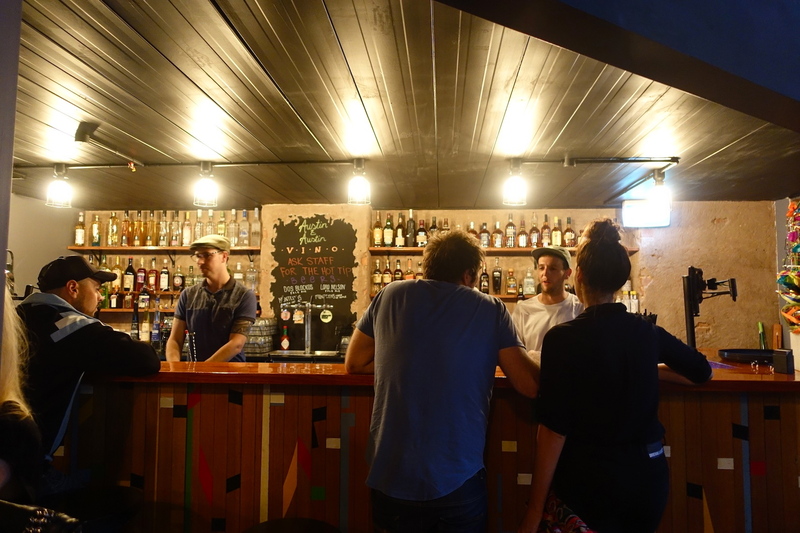 This is in combination with the wood on the bar and table tops stained with Angostura Bitters, which according to the rep is the first time this has been done in Australia. 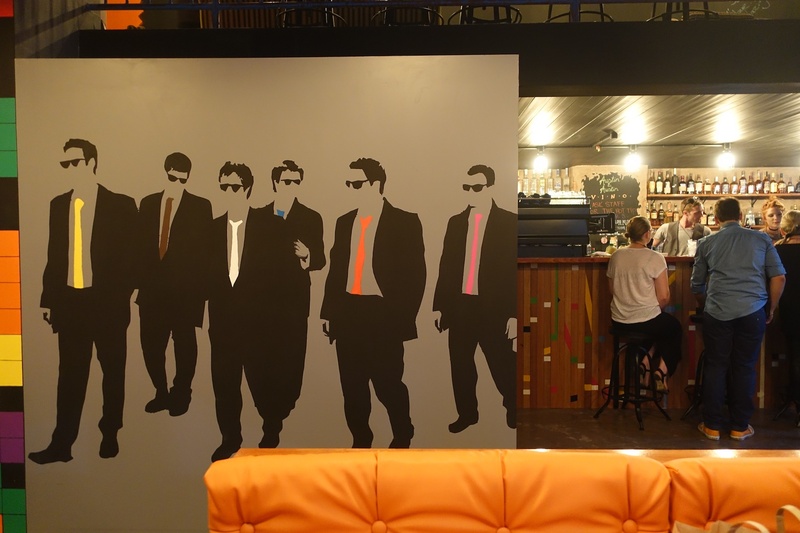 Next thing to notice is the mural, a silhouette painting of the lads from the cult classic Reservoir Dogs overlooking the comfy orange seating. Keep walking and you’ll find the main event. 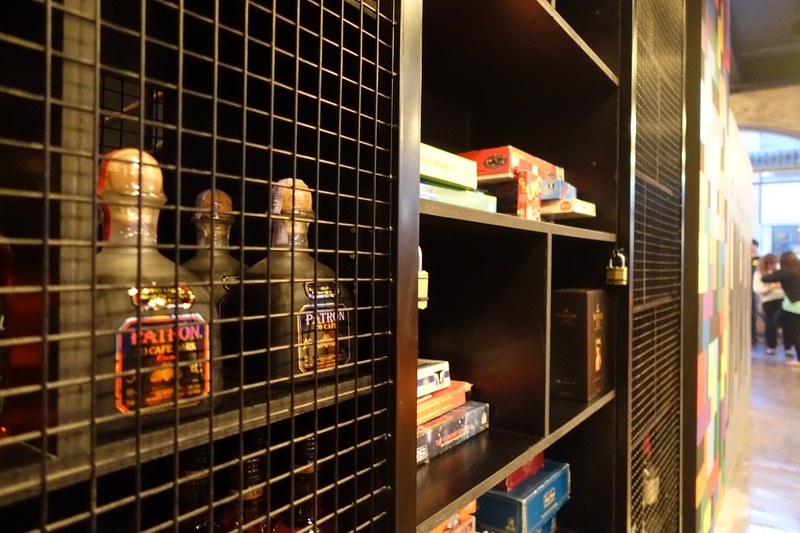 Now, having boardgames at bars certainly isn’t a new concept, but it’s a genius idea and Austin have a pretty excellent selection to choose from. 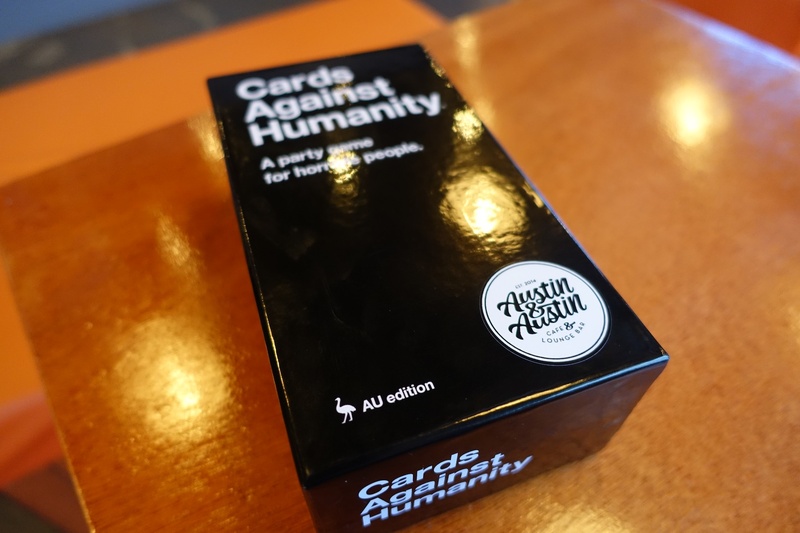 From the vintage favourites Cluedo, Connect Four and Mastermind, to the newer At The Movies game (RIP Margaret & David) and the ever so un-PC Cards Against Humanity. What’s better than a few drinks with mates over a competitive game of Pictionary? 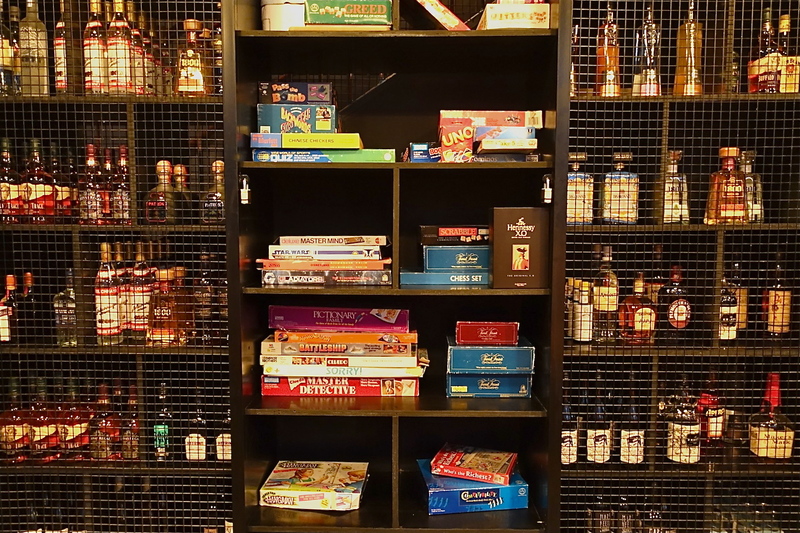 Boardgames not your jam? How about NBA Jam? 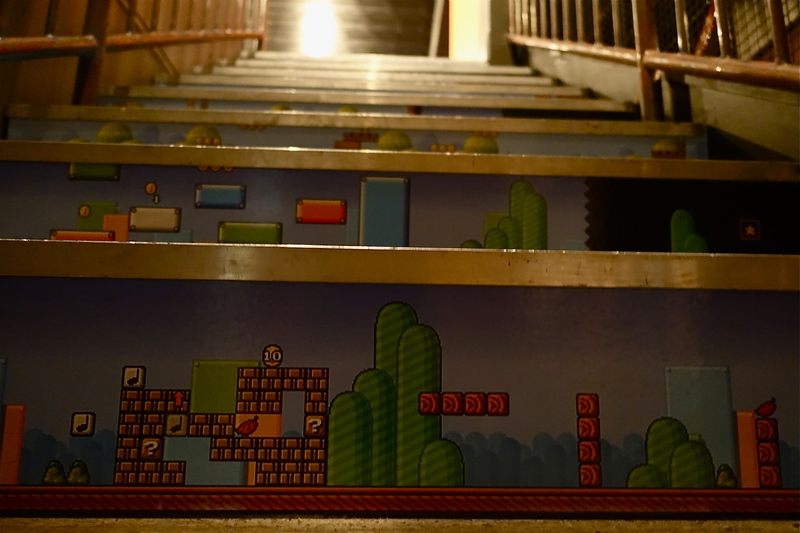 Climb the Super Mario clad steps to find yourself on the mezzanine level which houses a bunch of comfy couches and game consoles. 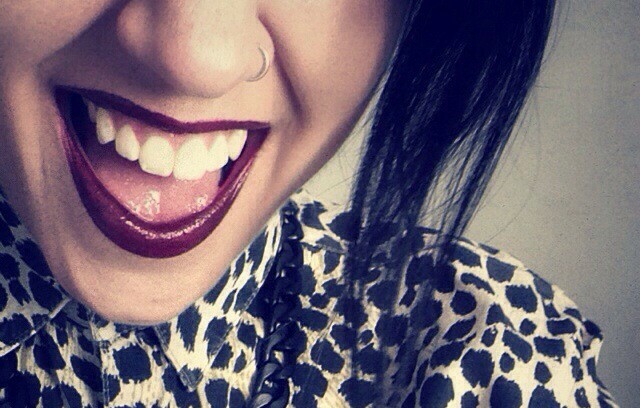 Childhood memories come flooding back at the sound of the Super Nintendo and Sega Mega Drive. Some of the games on offer include Mario Kart, Super Mario Allstars, Street Fighter 2 and Aladdin. Donkey Kong and Sonic the Hedgehog are on their way. One of my favourite features and notable mentions at Austin & Austin are the USB ports built straight into the side of the bench seats. No longer do I have to be ‘that girl’ asking to charge my phone behind the bar after draining the battery on my social media addiction. So, you’re already having fun right? I haven’t even mentioned the drinks, food or music yet. 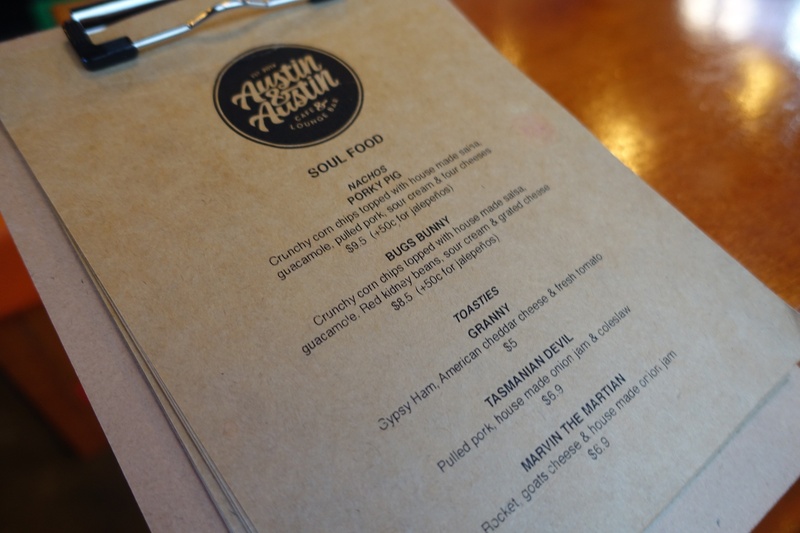 Austin & Austin serve up a delightful cocktail list of the usual suspects, plus a few of their own creations. The beers on tap are Dos Blockos pale lager, Monteiths golden lager and Lord Nelsons pale ale. They have a great selection from local winemakers including a sauvignon blanc from Shut The Gate, a NDM blend from Delinquente Wine Co. and the Last Hurrah sparkling from Golding – just to name a few. 5 Senses Coffee is available from 8am should you be needing to kickstart your day at work or stay awake for that first uni lecture of the morning. You’ll also have to grab a homemade peanut butter and choc chip cookie to accompany your caffeine hit, they’re totally worth the calories. If you’d prefer a savoury food option to nibble on between strategically holding on to that red shell in Mario Kart, or doing your best poker face while that draw four card burns a hole in your hand of Uno, try the bar menu. You’ll find a range of tasty toasties and nachos with cheeky Looney Tunes inspired names. When it comes to the tunes of the musical variety, local favourite DJ Ocky is running the show and overseeing the selection. 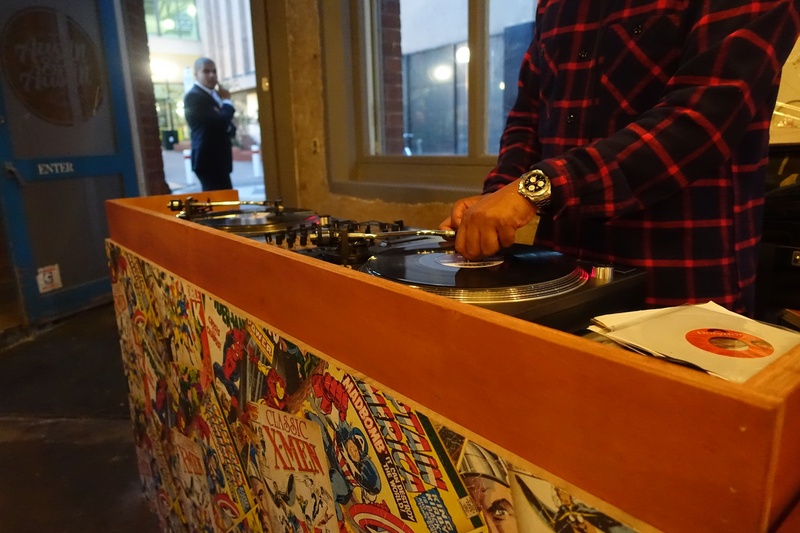 Friday and Saturday nights feature DJ sets by familiar faces playing funk, soul and hip hop. 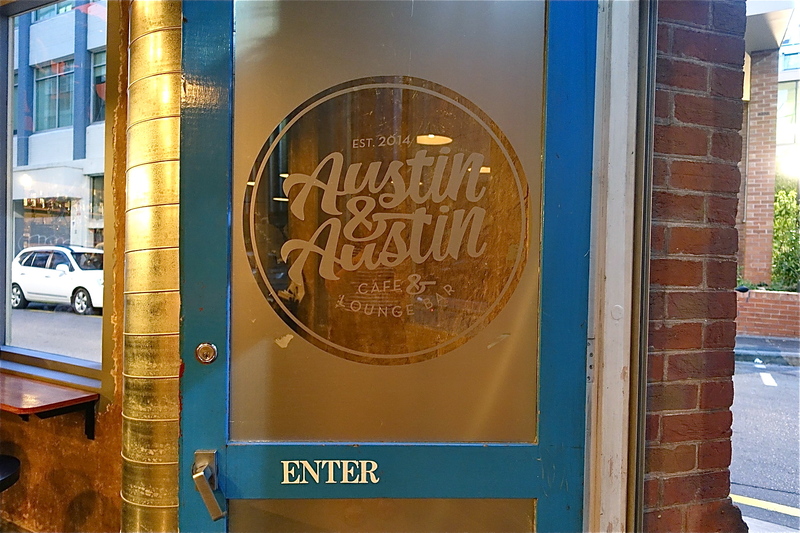 You can easily spend a few hours at Austin & Austin and make yourself at home. So head on over, grab a beverage and try not to drink-drive Yoshi off the side of Rainbow Road. What a rad read !!!! Love the way it reads and now itching to visit and potentially make this a regular hang out spot!